I had the good fortune to acquire a Seneca that was originally well built and remained relatively unmolested. 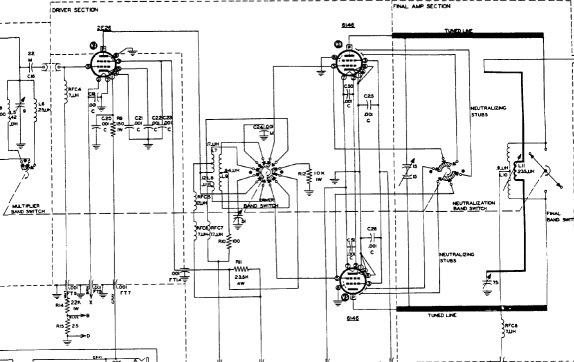 The arrangement of items below is in their approximate order of encounter in proceeding through the Testing, Adjustment and Calibration Instructions section of the Heathkit Assembly Manual. With these changes, I have added no new holes, nor done anything else that is irreversible. Schematic diagram of the VHF-1 Seneca for reference in support of the above modification notes (in GIF format). 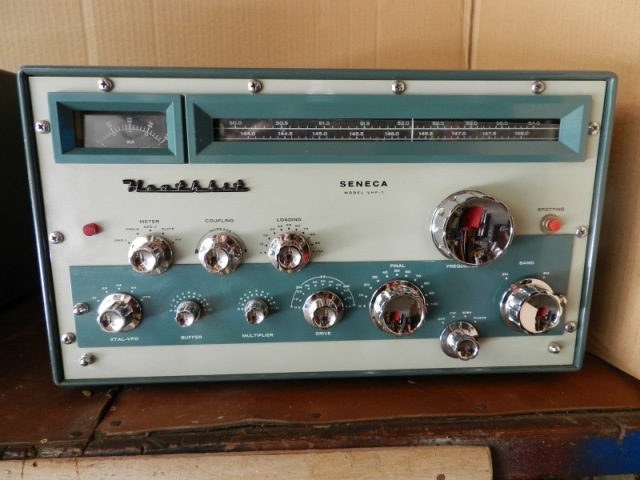 Front view of the Heathkit VHF-1 Seneca transmitter.